Connecticut is a wonderful place to live, and the weather doesn't ever go to the extremes. However, winter gets cold, and the summer days can be brutal. You don't want to deal with frigid nights or humid mornings, so don't let your air conditioner, heater, and HVAC system go into disrepair. Residential and commercial customers alike rely on Affordable Heating and Air Conditioning, LLC to keep their homes and business cool in the summer and warm in the winter. You can trust our professionals to make sure your system is working to peak satisfaction, and when you need servicing or repair, Affordable Heating and Air Conditioning, LLC will provide rapid, reliable service at an exceptional value. After all, it is important your home or commercial A/C and heater is operating at maximum efficiency. In order to keep everything working as it should be, you need to schedule regular preventative maintenance checks. Not only will these keep your unit from breaking down, a routine tune-up or system check will actually reduce your energy bills and cut down on overall expenses! And with Connecticut residents paying more than ever before for heating and cooling, making sure your unit is optimized is critical. Why are my rooms not heating properly? Why are my rooms not cooling properly? My AC is blowing warm air? Also, why does my heater feel cold? How often should I be getting my ducts cleaned? How often should my A/C or heater be getting serviced? How can I improve air quality? When should I replace an old unit? And, what unit should I install? How do I know when there is a leak? What are some signs of disrepair I should be looking for? Whatever the question or problem, we have a solution for you! Give of us a call to see how we can help. You have made a huge investment in making your Connecticut business or household comfortable, so don’t let that effort go by the wayside. With us, peace of mind is just a phone call or email away. 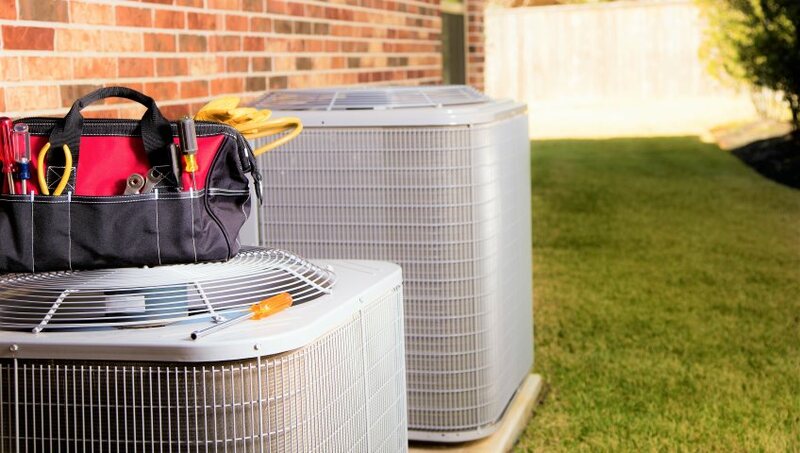 Whether you are facing a serious breakdown on a sweltering day or simply need a new unit installed correctly, you can call Affordable Heating and Air Conditioning, LLC to get the job done right. Our friendly, knowledgeable technicians are more than qualified to troubleshoot, perform preventative maintenance and tune-ups, do installations, and repair air conditioning, heating, and HVAC systems. We are certified, educated, and up-to-date on all systems and repair methods. We work with all brands, not just the brands we provide! So give us a call, send an email, or schedule servicing today.